Many times, we order packages and worry about when and how they will be delivered. If we ordered packages right before a family vacation, we might worry about the packages piling up in the front door of our house, or some stranger taking them. If we are at work, we might worry about not being home to receive the package when delivered. By renting a PO Box, you won’t have to worry about any of this. PO Box or post office box is an excellent way to receive your mail in a safe, convenient, and cost-effective way. If you live in Malibu, or a nearby area, you should go outside and enjoy the beautiful Malibu beaches with your friends and family. Don’t worry about having delivered packages sit on your doorstep. At PC Greens, we offer PO Box rentals that are conveniently located at the entrance of the store. By renting a PO Box, you will you be able to enjoy your summer without worrying about your packages being delivered and received safely. With so many activities to do in Malibu, you can rest and enjoy knowing that your deliveries will be secure in our PO Box renal offices. PO Box rental at PC Greens is located inside our store. This is more secure than having your mail delivered to your home because it is often left in an unlocked area that is easy for strangers to take. We will also keep your packages safe until you have time to pick it up. PO Box rentals is like a secondary address. 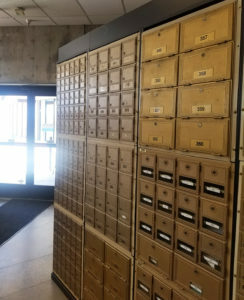 Rent a PO Box and we will protect your privacy. Many times, when you order a package, you don’t want people to know where you live. Get a PO Box and your packages will be delivered to our store. No one will need to know your home address. PO Box rentals is the most convenient and easy way to keep track of your packages. When you have a busy day, or are going on a family vacation, we will continue to receive your mail. This means no more putting on hold your mail or having it pile up in front of your door while you’re gone. At PC Greens, we take care of it. We keep it safe and secure while you enjoy your trip. At PC Greens, there is always someone ready to receive all your important packages. Any day of the week we will have your packages ready. If you are busy or out of town, don’t worry about it. In the meantime, we will take care of it. PO Box is a smart and affordable option that will make your life easier. Don’t worry anymore about having your packages pile up in your front door. At PC Greens we will keep you packages secure until you are ready to pick them up!